Places which are famous for other reasons. These can be places of historical, archaeological or spiritual significance (e.g. Shravanabelgola, Mahavirji, Mt. Abu). There are perhaps a couple of hundred major and minor tirthas. Many, like Shatrunjaya-Palitana, are “temple-cities”. Templesare many “chauvisis” (set of 24 small identical shrines). Actually there are 108 large temples and 872 small shrines with about 7000 images total. 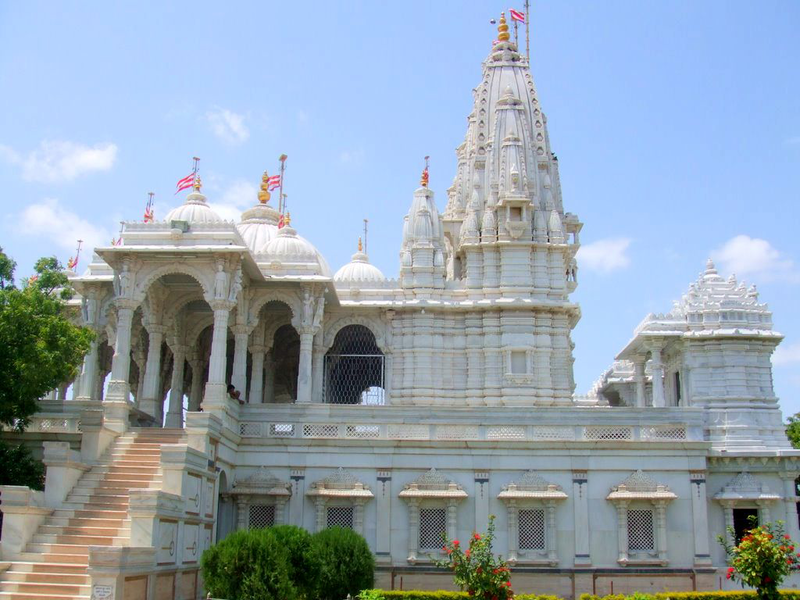 The main temple is dedicated to lord Rishabha. Shatrunjaya is assocoated with the Nirvana of Pundarika, son of Bharata (the Chakravarti, after whom India is named Bhaarat) and grandson and Ganadhar of Rishabh, the first Jina (also called Adi-nath). The main sources of the tradition associated with the mountain are “Saravali” (perhaps written in 11th century) and Vividha-tirtha-kalpa (14th cent.) etc. The tirtha has been rebuilt many times. According to VTK, the 14th rebuilding (uddhaar) was done by Vagbhatta, a Minister of King Kumarpal in VS 1220, however according to Shatrunjaya Rasa, the 14th rebuilding was by BahaDade Munhate, son of a minister of Kumarpal. In both accounts, the builder was the son of Udayan of Shrimal jnyati. It was destroyed in VS 1369 by Allauddin Khilji. Later rebuldings occurred in VS 1371, 1587 and 1649. In 16th century, Hiravijaya Suri of Tapa-Gachchha met Akbar and obtained the grant of the hill. The main shrine ofShatrunjays Temples Adi-nath by Tejpal Soni was built in VS 1649 under the direction of Hiravijaya Suri. This gave the impetus to proliferation of shrines on the hill. In 1656 AD the village Palitana was granted to Shantidas Jhaveri, leader of the Jain community by Muradbaksh, the governer of Gujrat. In 1730 AD, the management was assigned to Anadji Kalyanji trust. Archaeology: The oldest available object on the hill is an idol of Pundarika (he was not a Tirthankar, but since he obtained moksha, he can be worshiped) installed in 1006 AD. Since it is mentioned in the Shvetambara canonical books, it was already a famous tirtha by the fifth century.